We’re having a hard time saying goodbye to our summer maxi dresses. 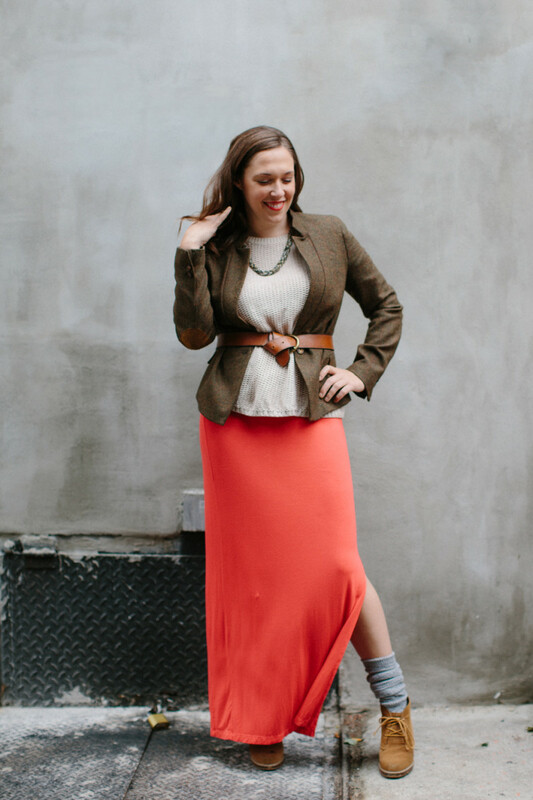 Long, swooshing skirts and comfortable waistlines; who doesn&apos;t want these elements in their wardrobe all year long? 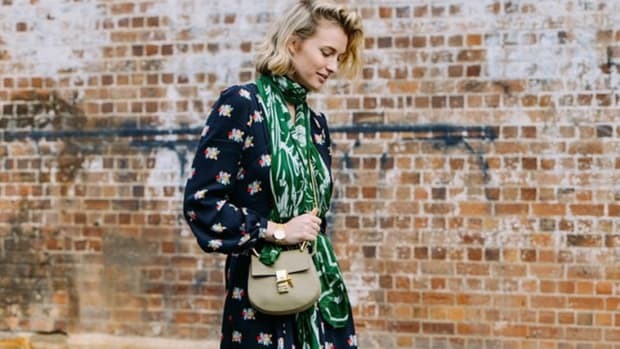 We think the summer maxi should stick around for as long as possible, and by incorporating some stylish layers, bringing your favorite maxi into fall is completely doable. 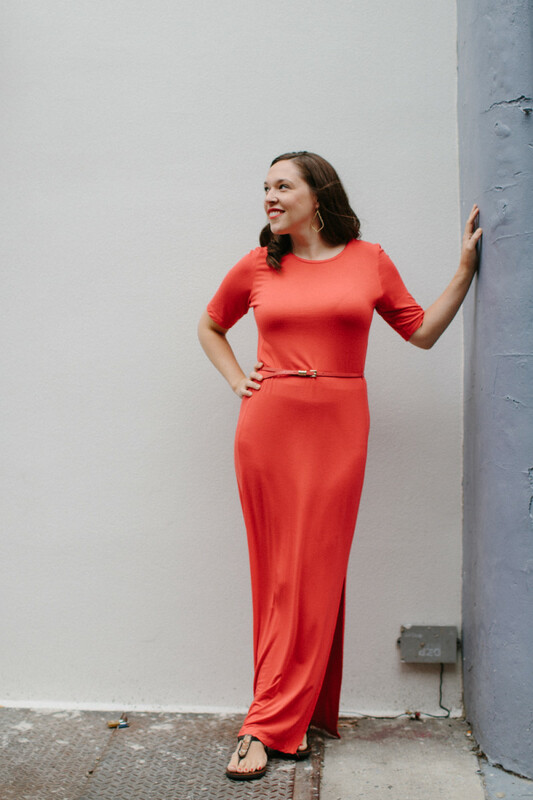 Verily’s editor in chief, Kara Eschbach, is a maxi dress pro. So of course we asked her if she would let us into her wardrobe to style her maxis as perfectly festive fall ensembles. Kara’s bright-red summer maxi is sultry and flattering, so why would we pack this away until next summer? Here’s how she’s transitioning it for fall. 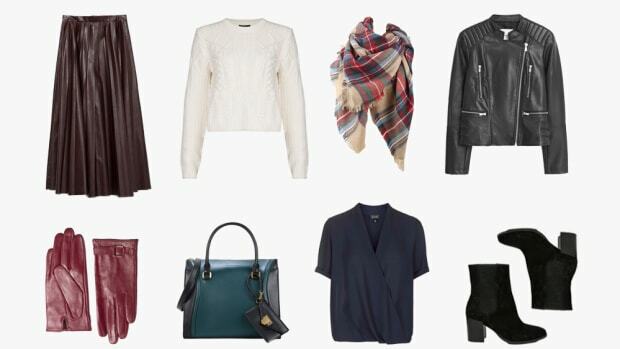 Let the layering begin! 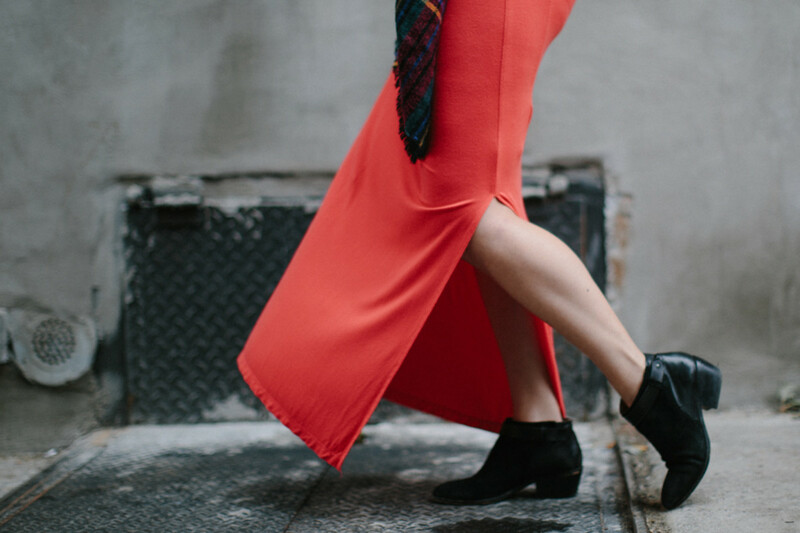 The main concern when bringing a maxi dress into fall is warmth. Looking good doesn’t mean much when you’re freezing. 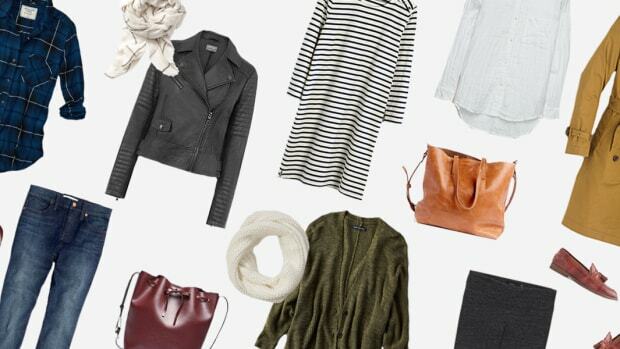 Begin by layering a cozy knitted sweater over your maxi. This sweater should be on the thinner side, to avoid bulkiness with a blazer over it. A blazer over a knitted sweater has fall written all over it, but it’s important not to let your waist get lost in all this fabric. 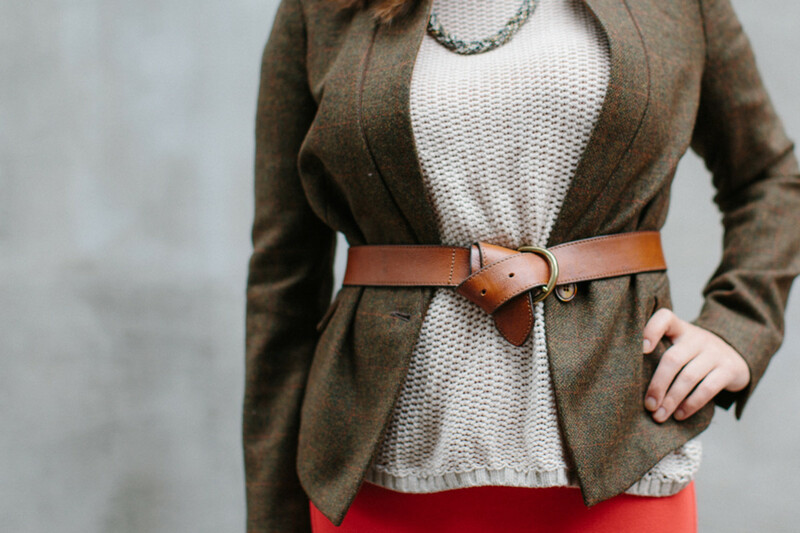 To highlight Kara’s feminine silhouette, we cinched her waist with a brown belt. 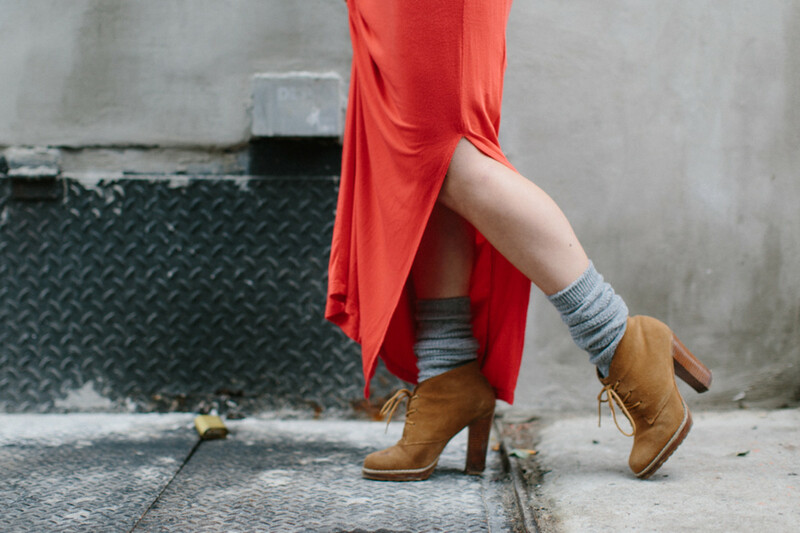 For more fall coziness, we bunched knee socks down with her high-heeled booties to complete the look. 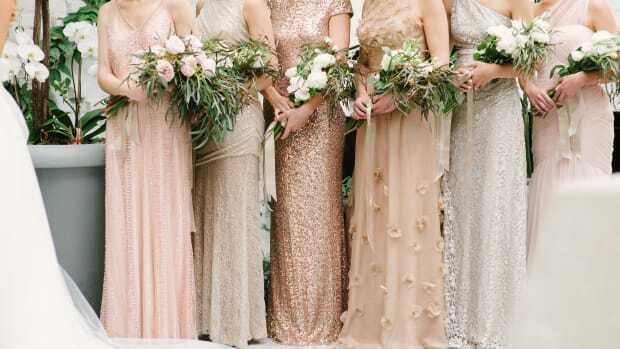 Let’s add a little glamour to our maxi, shall we? 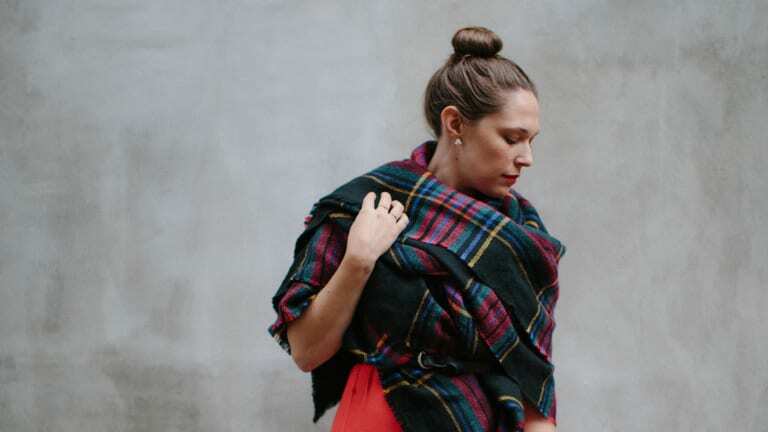 Kara’s plaid blanket scarf is no mere accessory. This elegant wrap effect is super easy for anyone to attain. 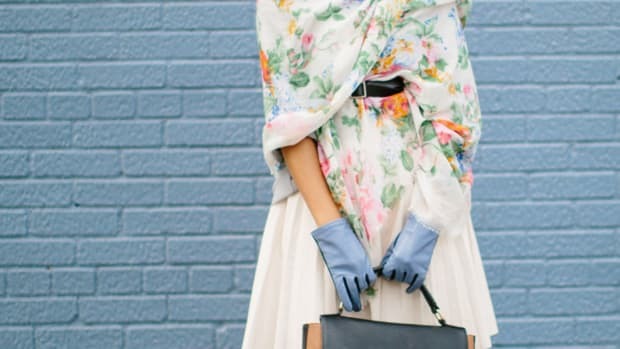 Begin by placing your blanket scarf behind your shoulders like a shawl, then crisscross one end down across your stomach. Take the other end, and throw it over your shoulder. 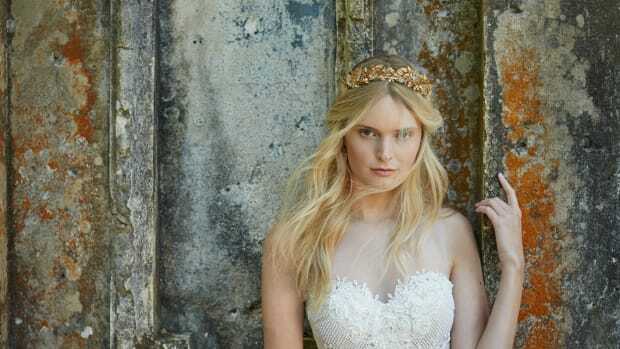 To secure everything in place and add a high-fashion air, fasten a belt over loose ends. 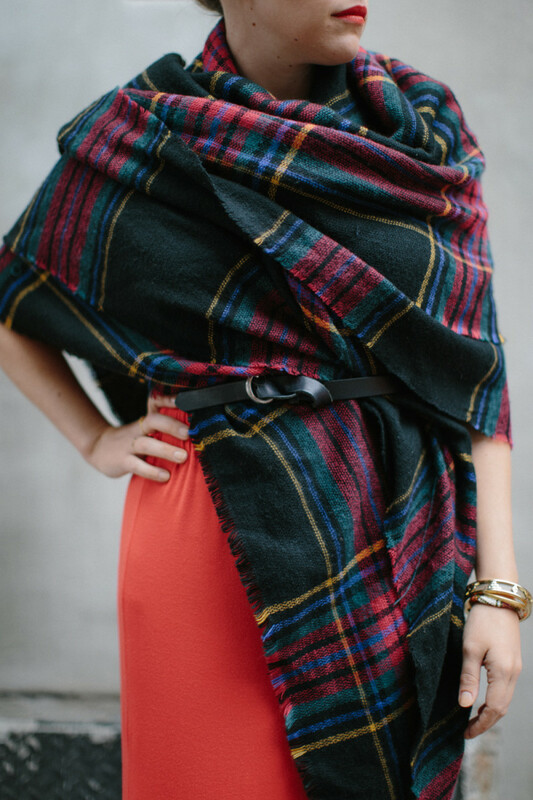 To highlight the colors in Kara’s plaid scarf, we kept her shoes dark and her jewelry simple. Many women have funky patterned maxi dresses. 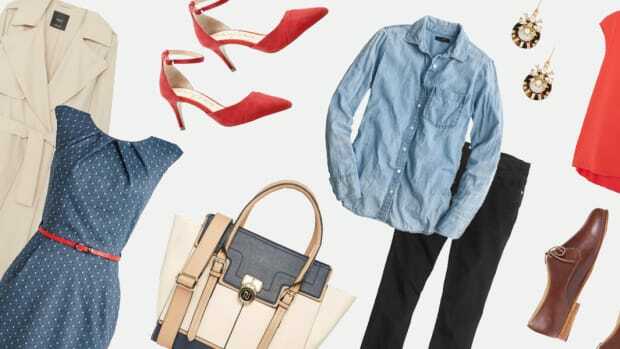 Often, we put these fun prints away for next summer because we associate fall with somber colors, not bright patterns. 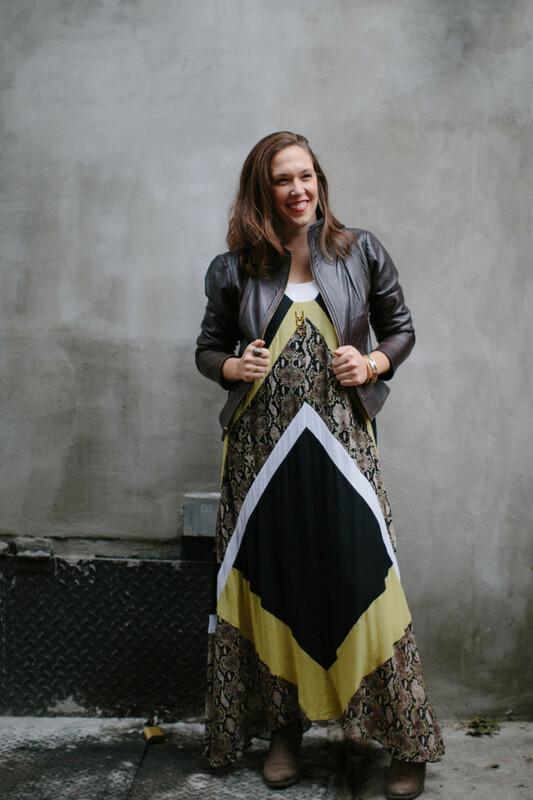 If we were able to take Kara’s animal- and neon-print maxi and make it fall-appropriate, you can, too! 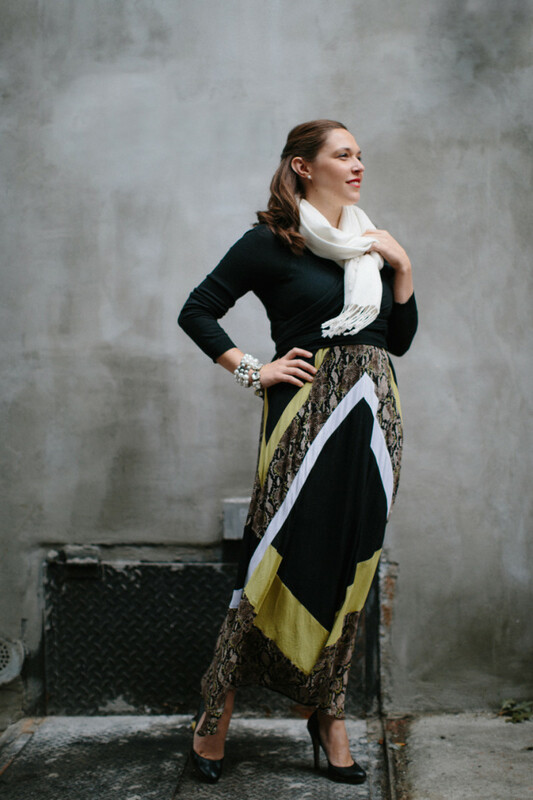 We amped up the Grace Kelly factor and went with some classic styling to tone down the bold print of Kara’s maxi. We chose a neutral color palette of black and white to pick up and complement the colors in her dress. 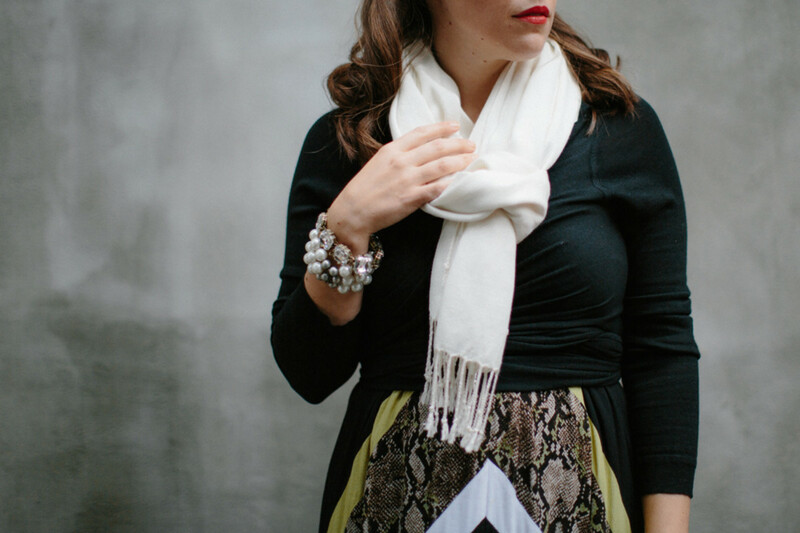 A white scarf adds elegance and warmth, while the black wrap sweater creates some shape. To keep it classy, we finished with classic jewelry in costume proportions and sleek black pumps. The leather jacket is the perfect item for making the ultimate night-out-on-the-town outfit. The jacket lends an edgier look, so we played off the rustic browns in Kara’s maxi with brown boots. 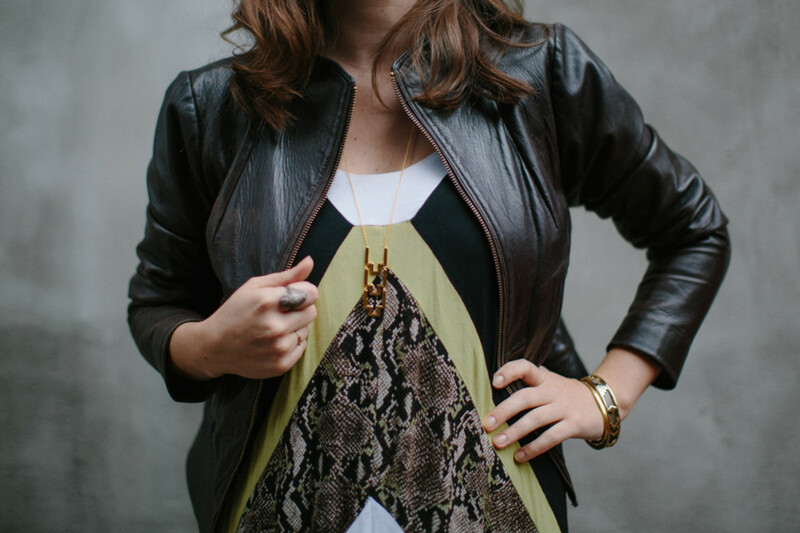 To keep on trend with modern jewelry, we went for layers: a couple of gold bangles, multiple rings, and a simple but graphic necklace.